I guess the HPI Baja 5b is not completely forgotten…..with the release of the Losi 5IVE-T so many parts manufactures have turned their attention to the 4WD truck. But have no fear, Hemistorm has not forgotten you and has something very special for you Baja 5b owners. 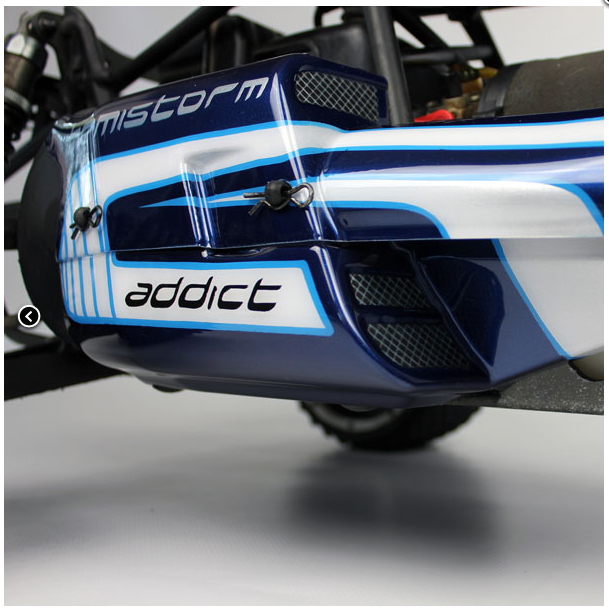 His new body for the HPI Baja 5b is called the Addict. And you can tell Hemistorm is an addict to attention to detail here. No stone was left unturned when developing a body of this caliber and only Hemistorm has been able to bring a level of quality to aftermarket body options to large scale. Most would argue he has done it better than the manufactures of the cars themselves…..and we agree. So get out your HPI Baja 5b and start to work on your paint scheme, because after watching the video you WILL want one! Time to give the HPI Baja 5B a facelift! Back to the roots of this 5th scale icon with a brand new buggy style body. Made from 1.5mm of the finest polycarbonate available on the market, this 5 piece body comes with a clear overspray film and completely precut and predrilled, all ready to get painted! 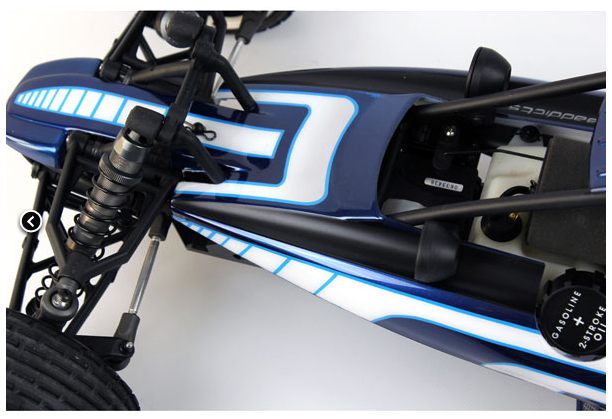 Slide the side mounting pins on your HPI Baja 5B to the most outward position. First mount the two oversized sidepods to the skidplate, as you would do with any of the existing buggy shells. Using the plastic studs and bodyclips the lower parts of the HemiStorm Addict body attach in the exact same way that you’re familiar with. The front mounting points of the sidepods hook up around the front rollcage pins. Simply take off the plastic ring that sits there and slide the sidepods in place. Because of the additional length, the sidepods keep dust and debris away from crucial parts of your vehicle such as the clutch and pullstart. The additional width ensures sufficient cooling, and if you do want even more cooling there is always the option to cut the double vents on each side. The side pods on the HemiStorm Addict, although being larger, are less prone to damage. Underneath the skipplate there’s a stepped line, allowing for that much needed extra ground clearance on rough terrain. The nose piece installs just like the original one. Remove the lightpods on each end of the rollcage to slide the top lid in position. 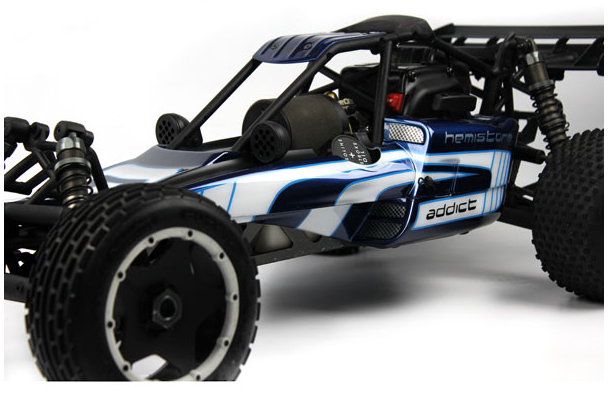 The main section of the body comes with an uncut fuel cap, to make the HemiStorm Addict an option for HPI Baja Flux owners as well. There’s an indication line on the shell to show where to cut the fuel cap opening. Slide the front in first and secure all the pins. Two lines over the entire length of the main section integrate the two lightpods in the design of the body, modernizing it and giving it a fresh look for 2014. The pullstart is well-protected and the Addict has plenty of room to install an Outerwears prefilter without problems. The raised front makes it easier to run upgraded linkage setups or additional electronics. The last part to install is the lightweight paintable roof. Undo the four screws, take off the stock aluminium roof piece and install the roof. 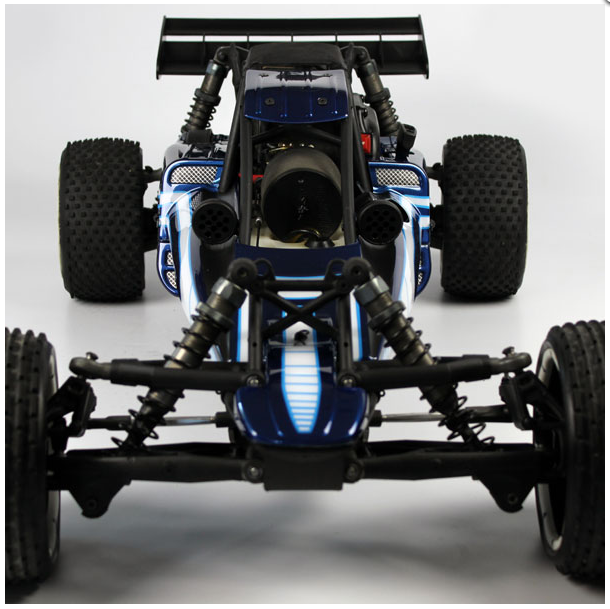 The roof comes with four molded in raised lines, which act as a skid section in case of roll overs and add strength to the top of your Baja 5B. Depending on your upgrades, mostly side pipes, extra trimming may be required. 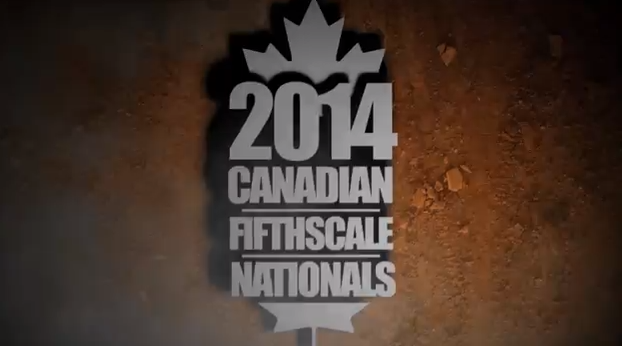 Check out this great video that shows some awesome race footage of the 2014 Canadian Fifth Scale Nationals. TGN was a proud sponsor of this event and with this kind of footage getting racers all excited we expect the event to grow even more next year. 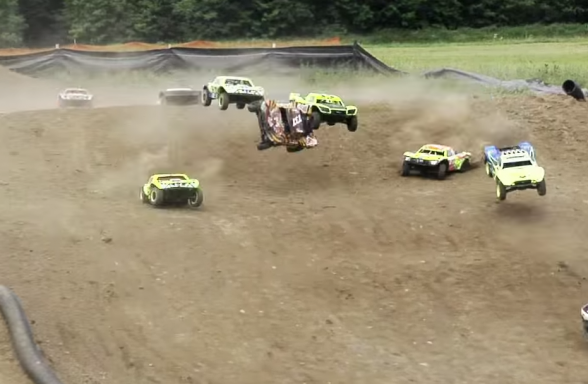 Lot’s of Losi 5IVE-T trucks racing as well as some HPI Baja 2WD action in this highlight video. West Coast National are almost here! Check out the details in the image above or search Facebook for more info. Neil Pestka has been a busy racer as of late. 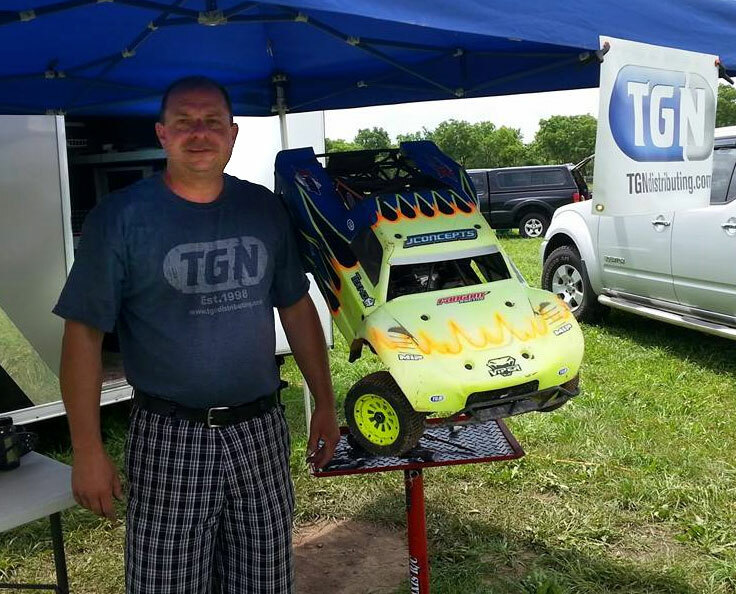 Neil Pestka is a TGN sponsored drive and as of late he has made some news. Check out what RCNews had to say by clicking HERE. Neil attended the popular PowerJam race where he took first place in the Last Man Standing event. Even won himself a Spectrum Radio! See Race Report below…. Then off to the Canadian 1/5 Scale Nations where he took 6th place after mechanical issues that forced him to run a spare engine. This past weekend I attendended the 2014 Power Jam Midwest 1/5 scale Nationals held in Monon,Indiana. 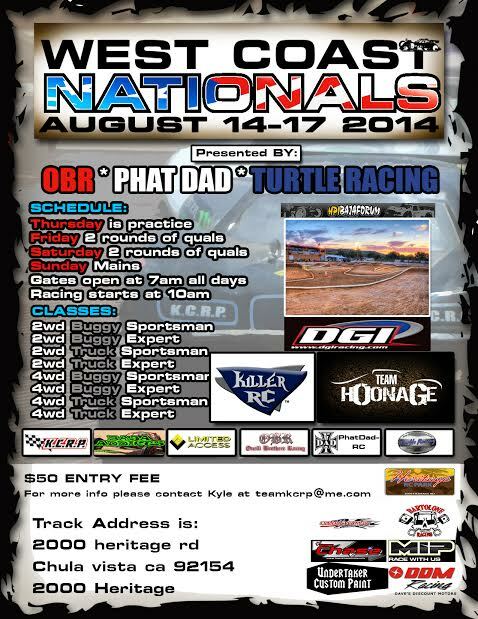 This was a 4 day event for 1/5 scale off road , oval and figure 8 race. Classes for theoffroad would be 2wd buggy, 4wd buggy, 2wd sct and 4wd sct. The oval was 2 wd oval cars. The figure 8 would be the same classes as the offroad. Thursday would be practice and the last man standing race. Friday would be practice and at 1 the first qualifier would kick off. Saturday would be 2 qualifiers and the mains on Sunday. I signed up for the 4wd offroad and figure 8 race. The 4wd offroad was my dedicated class. Thursday upon arrival the track was very wet due to all the rain from the day before. Once the track dried out practice would open up and the driver stand was full. The last man standing race would start at 7pm. I figured that it was extra practice time and would be a good time so I entered the race. The race got under way and slowly but surely cars started to roll over and get stuck. No cars would be removed from the track so trucks and cars became obstacles on the track as well as all the jumps on the track. Before I knew it there would just be my truck and one other vehicle on the track. We ran for quite a long time before the other vehicle would wreck and let me win the last man Standing race. Friday qualifying would begin and I would get a decent qualifier putting me 5th qualifier with a solid 17 lap run in the offroad class. The figure 8 race didn’t go as well as I had a power wire come unplugged after only 19 laps. Saturday 2 qualifiers were run and would shave 9 seconds off of my previous run in off road. I went faster and others did as well putting me 8th qualifier over all. I was able secure a spot for the A main in the 4wd off road sct class. The figure 8 I didn’t run as I wanted to work on my truck to get ready for the offroad mains the next day. Sunday would start off with a drivers meeting and giveaways.The mains would start and I was in race 9 for the 4wd sct A main. My strategy was to drive consistent and be patient especially with a 20 minute main. I would have a great run putting my truck into a 3rd place podium finish. For the figure 8 race I ended up qualifying in the D main with only a short run on Friday. I would be in race 10 and I would come in second and bumped up to the c main. The C main was race 11 with a full field and starting in the back I knew I need a good run. I would win the C main and bump to the B main. At this point I could get my truck to drift in the corner like the cars do in the speedway. I also knew I needed to charge my receiver pack before the B main which was race 13. The B main started and slowly but surely I was making my way through the pack I would win the B and bump to the A main. The final race of the event. I would start out at the back of the pack. A couple of trucks would get in a wreck at the start I was able to move up a few spots. After awhile I found my self running in 4th with the 3rd place in my sights. I finaly had an opening getting into the third spot. 1 lap in running 3rd coming up to traffic I got caught up in it and popped a camber link ending my charge. I would finish 10th in the A main for the figure 8 race. The event was fun and everyone had a great time. A few things that really stood out to me as I am new to racing 1/5 scale is the helpfulness between racers. The biggest thing was I didn’t once hear anyone screaming from the drivers stand or any thing of that sort what I did hear was a lot of laughing and praise coming off the drivers stand. 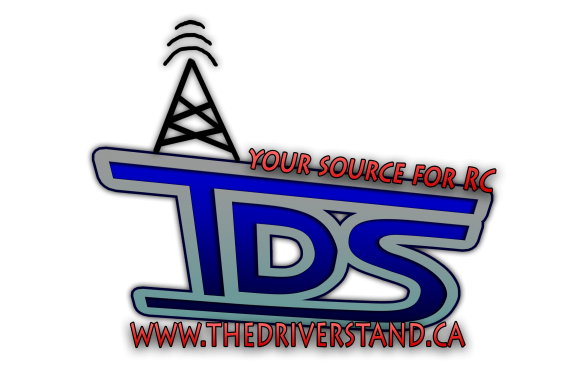 Author Posted on July 21, 2014 July 21, 2014 Leave a comment on TGN driver Neil Pestka makes news! Head over to The Driver Stand site HERE and get updates on how the Power Jam race went as well as their updates from Canadian 5th Scale Nationals. Take a look at this cool video RC ACRES posted on youtube today. It’s a great promotional piece for their upcoming Nationals as well as a “thank you” to their sponsors. 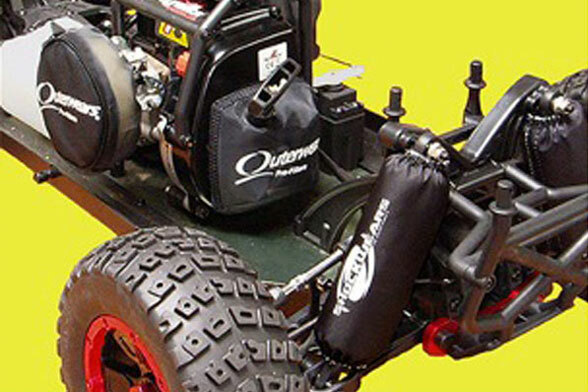 The Newest Pre-Filter for the Losi Desert Buggy XL. Using Terra-Flo standards, Outerwears has designed a way for you to protect your air filter and the inside of your power plant from dirt, debris, and water while allowing maximum air flow that Outerwears is known for. 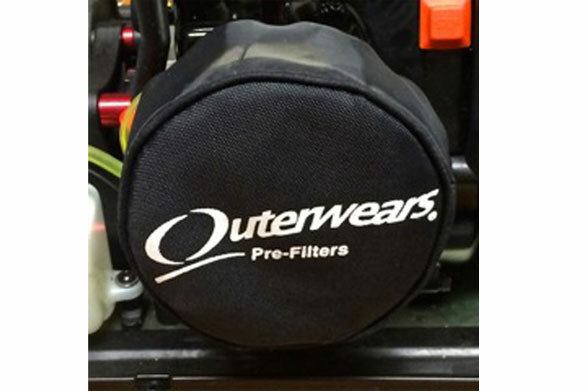 If you are experiencing what off-road really means with the Losi Desert Buggy XL, then this new Pre-Filter is a must have. Protection starts and stops with Outerwears. Turtle Racing is not wasting any time jumping on this new 4WD platform from Losi. Losi released the 1/5 scale Desert Buggy XL or DBXL recently and it includes a lot of plastic parts. So Turtle Racing has come up with this billet clutch carrier. Read more below. 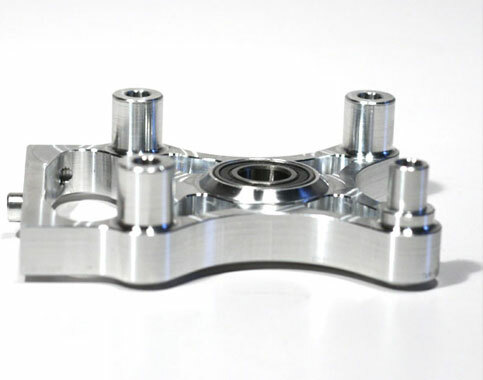 This is the Turtle Racing Billet Clutch Bell Carrier for the Losi DBXL. Replace your weak plastic clutch bell carrier with our One Piece Turtle Racing DBXL Clutch Bell Carrier. We have eliminated the 4 separate posts to make install MUCH easier. 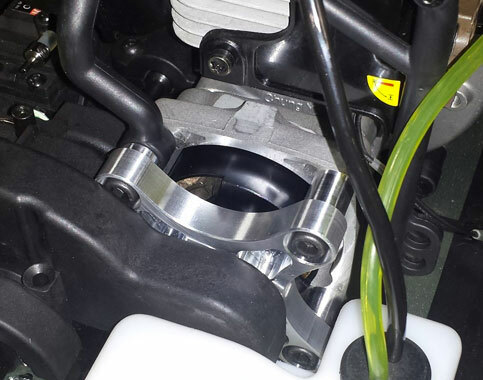 Our carrier is one piece Billet, CNC Machined 6061 Aluminum to greatly reduce flex and allow better cooling. We also kept the location boss on the bottom to match your DBXL chassis. 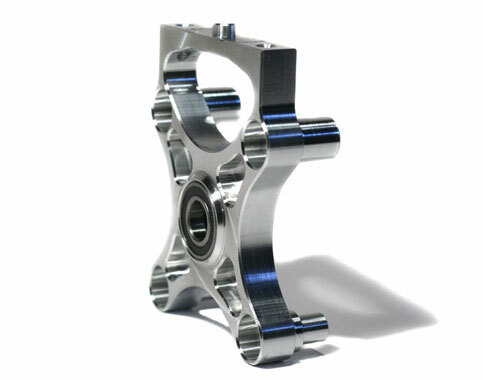 6061 Billet Aluminum CNC machined in house by Turtle Racing.